Decades after the Martial Law years, the Philippines continues to face the grim reality of the existence of political prisoners. Whether under the fascist Marcos dictatorship or “democratic” administrations after him, the rights of political prisoners are repeatedly violated as they are slapped with fabricated charges, arbitrarily arrested and illegally detained. Many of them are tortured and denied their right to counsel and due process. They suffer subhuman prison conditions and prolonged imprisonment,and intentionally slowed down judicial process. We are calling for the immediate release of political prisoners on humanitarian grounds, which include the ailing and the elderly (60 years old and above). 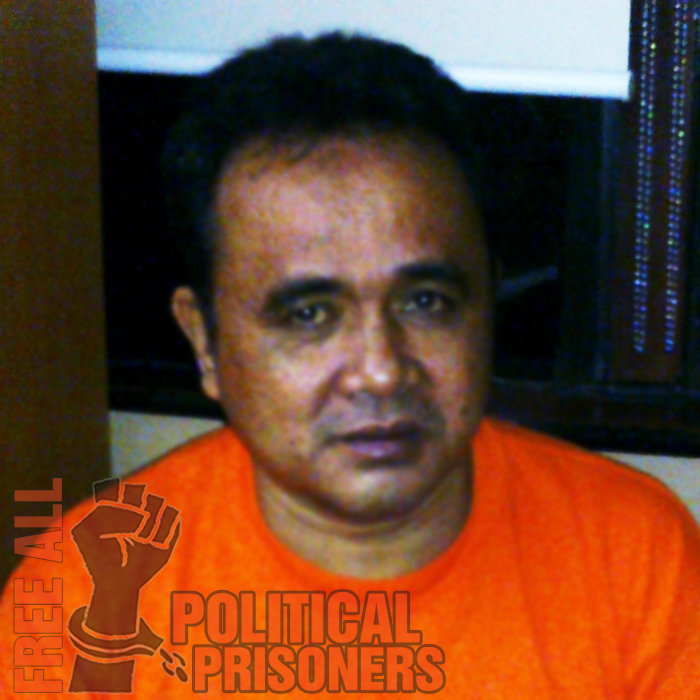 As of August 2013, there are 449 political prisoners in different detention centers all over the country. 154 of them were arrested under the Noynoy Aquino government, a significantly large number for an administration that denies the existence of political prisoners. There are 48 ailing political prisoners that need medical attention, while 28 prisoners belong to the elderly and 35 are women. The poor and inadequate health services that the government provides endanger the lives of the relatively more vulnerable sick and elderly political prisoners. The meager budget allotted to prison inmates makes jails and detention centers barely habitable, unsafe and hazardous to the health and general well-being of prisoners. Keeping the sick and elderly political prisoners longer in prison leads to serious health complications that could be life-threatening. Take the case of Alison Alcantara, 55, who suffered from uncontrolled diabetes the past years and recently died of pneumonia, sepsis and fatal arrhythmia after falling into a coma at the New Bilibid Prisons. Ramon Argente, 53, from the Camarines Norte Provincial Jail has just undergone a triple heart by-pass at the Philippine Heart Center. Bringing him back to prison will not in any way help in his speedy recovery, aside from the fact that his detention has been a violation of his rights since day one when he was arrested without warrant on a variety of trumped-up charges. And who are the the political prisoners? They are activists, farmers and workers, students, professionals, cultural workers. Just recently, a physicist and activist, Kim Gargar, was arrested and detained in Mati, Davao Oriental while performing his work as a scientist. The military now feasts on tagging him as a member of the New People’s Army. Red-tagging and vilification against political prisoners by state security forces have become standard fare to justify the political prisoners’ continued detention and stripping of their rights. Please join the families and friends of political prisoners, human rights advocates and SELDA, the organization of former political detainees, in the campaign to FREE ALL POLITICAL PRISONERS. In the immediate, let us all work for the release on humanitarian grounds of the sick and elderly political prisoners. This is all in a stark contrast of what the Aquino is treating Janet Lim-Napoles, an accused plunderer involved in multi-billion pork scams, now billeted in Fort Sto. Domingo in Sta. Rosa City enjoying the comfort and amenities of the rich and (in)famous, according to the group. “We are enraged at the double standard treatment of inmates under the Aquino administration. Political prisoners who are victims of false and trumped-up charges are treated like dirt in prison facilities. While, according to them, those who skimmed government funds with the collaborations of certain high government officials are given with the most elaborate security, high food allowances, air-conditioned rooms, regular monitoring of medical status, easy communication with the outside world, liberal visiting procedures, among other privileges. Surely, this is how the government treats one of its own – in a crook’s prison haven, while political prisoners rot in hellish prison holes.” SELDA national coordinator Jigs Clamor said. Clamor added that by continuously denying them to be treated immediately and properly given medical care, the government is endangering more lives of political prisoners. Many of them, according to SELDA, have medical conditions that, if left untreated, are vulnerable to more serious complications of diseases. 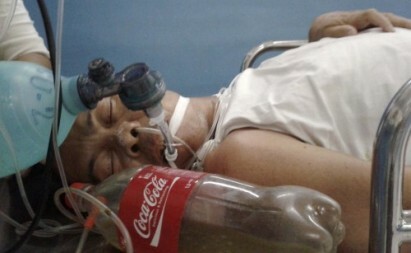 SELDA is calling for immediate attention as another political prisoner, peasant organizer Ramon Argente, 53, needs an immediate coronary artery bypass surgery to save him from coronary heart disease. He is confined at the Philippine Heart Center since September 26. “Argente, among other political prisoners, has not been even proven guilty of the trumped-up charges filed against them. His rights, along with his co-accused have been violated since day one of arrest. They were arrested without warrant, held incommunicado for days after their arrest, and denied of counsel – all of which are violations to their right to due process, freedom and safety,” Clamor said. Argente, along with union organizers Randy Vegas and Raul Camposano, have been charged with several and varying counts of murder, theft and frustrated murder before the Regional Trial Court Branch 64 in Labo, Camarines Norte. A total of 32 individuals were included in the said charges, where four have been arrested including Vegas, Camposano and Argente. The charges are said to be in connection with their alleged participation in an ambush by the New People’s Army (NPA) against the Armed Forces of the Philippines in Maot, Labo, Camarines Norte in the eastern part of Luzon, April 29. The group also decried the continuous denial of the government to pay for the hospitalization expenses of political prisoners. For heart bypass alone, Clamor said that the family of Argente is asked to raise around Php700,000.00. “By all means, these should be shouldered by the state. This amount cannot even be compared to what the government is spending to take care of Gloria Macapagal-Arroyo and Napoles. We pay for every single centavo to save lives of plunderers and wrongdoers, while we let those wrongly accused die from crimes they did not even commit. This is injustice at the very core,” Clamor said. Argente is one of the 48 ailing political prisoners that need proper and immediate medical attention, according to SELDA. One of them, Alison Alcantara, died last month due to fatal arrhytmia, sepsis and health associated pneumonia. “His life could have been saved if only he was accorded of his rights to healthcare as a prisoner,” Clamor said. SELDA is calling on the release of all sick and elderly political prisoners on humanitarian grounds, including those who have served a long time in prison.